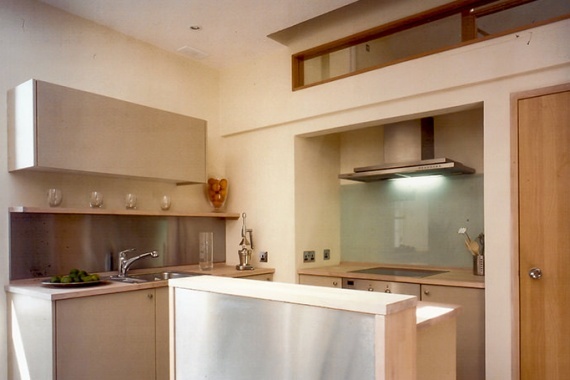 This interior was completely redesigned with new kitchen, dining area, bathrooms and attic study. The original condition of the property was extremely poor with smoke damage from a basement fire and the attic levels completely uninhabitable, possibly untouched since the building was constructed. 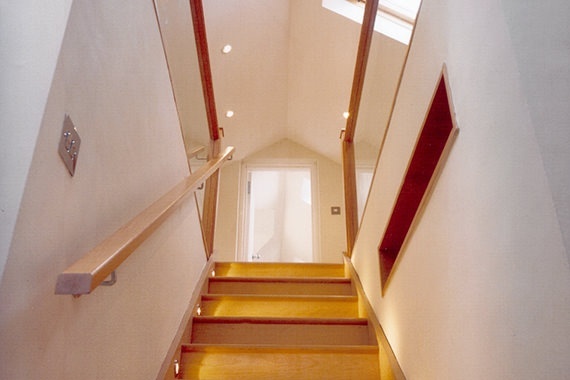 In conjunction with Roger Cooke of Bathrooms in Reality, the listed interior was completely redesigned as much as the Planning Department would permit, incorporating a new kitchen and dining area, new bathrooms and attic study area. 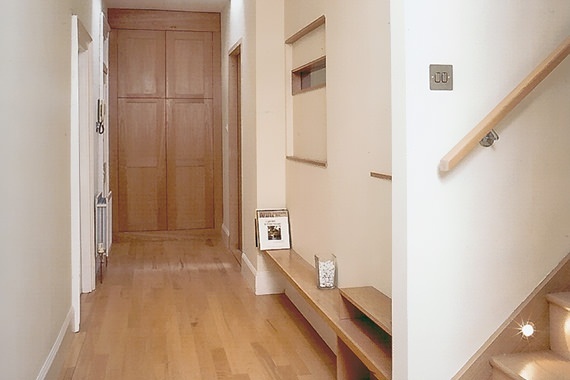 The entrance and hallway were designed to create a sculptured wall, where you can remove shoes, glimpse views into the kitchen through glazed apertures or sit down and answer the telephone. Light from the west facing window in the dining room shines through the glazing, and new rooflights allow natural light to also flood into the hall from above. 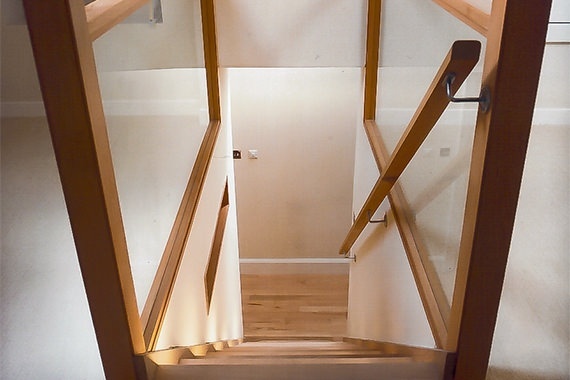 The three dimensional design of the wall leads the eye along to the straight flight of a new hardwood stair, which takes you upstairs to the study area.